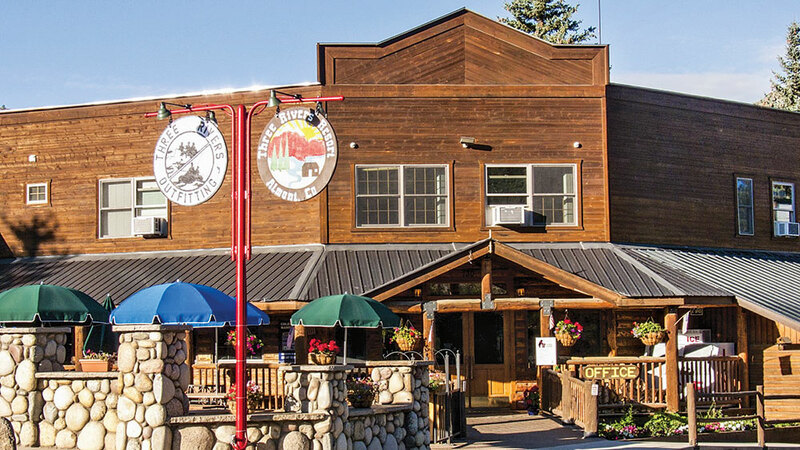 Come along with us as we explore one of the wildest states of the West and find some of the hottest log home hotels in the Rocky Mountains. Which one is your favorite? 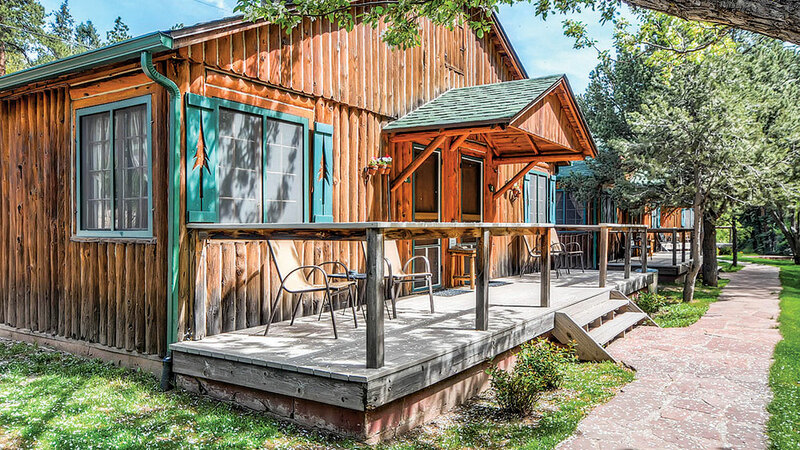 Featuring private log cabins (some dating back to the 1800s) as well as hotel-style accommodations above a super-cool general store, Three Rivers Resort is much more than a place to stop for the night. Located roughly 200 miles southwest of Denver at the edge of Gunnison National Forest, it’s close to many amenities but feels a world away. Basics, like linens and towels, are supplied, but guests need to bring their own food. Forgot something? Just make a run to the general store. And while you’re there, take full advantage of the rafting, fishing or snowboarding excursions. The Broadmoor is considered one of Colorado’s most luxurious destination hotels. But even here you can rough it a little (albeit in style) by booking a stay at The Ranch at Emerald Valley. 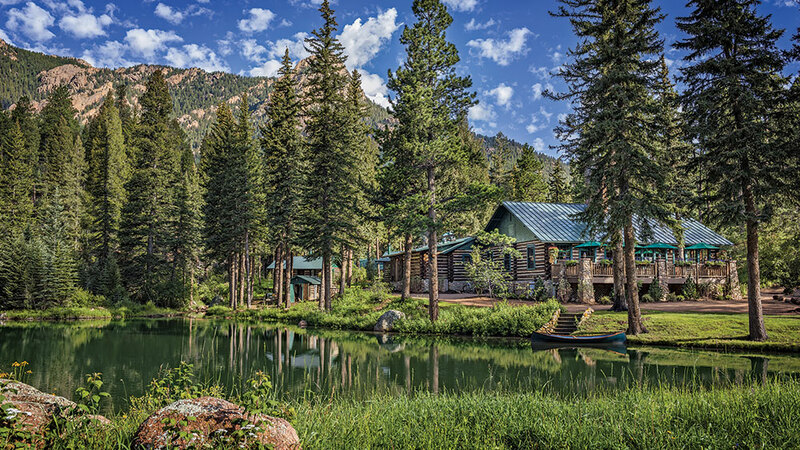 Thirteen well-appointed log cabins featuring large stone fireplaces and true Rocky Mountain touches are available. A grand lodge is on the property, serving your dining needs in impeccable Broadmoor fashion, and an array of nature adventures await. World-class golf, tennis and pools will round out your experience at this unique destination. If an authentic, historic log cabin experience is on your Log Home Road Trip agenda, Keithley Pines may be just what you’re looking for. 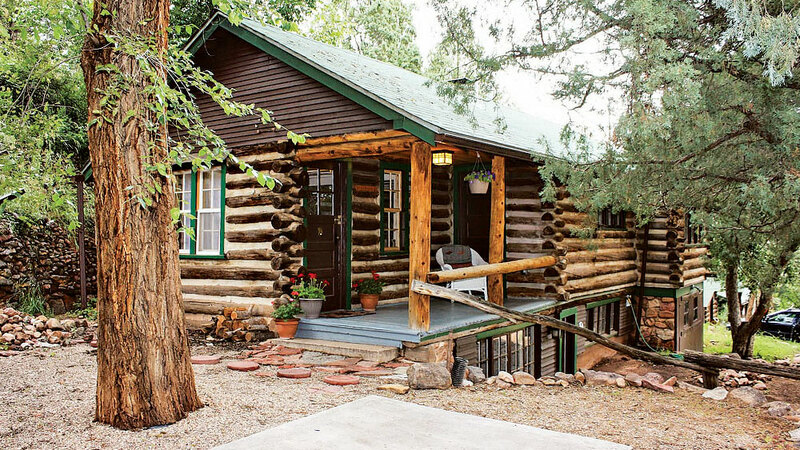 Nestled between Stops #9 and #11 and only one mile from the exquisite Garden of the Gods, the grounds sport five historic log cabins over nine acres. The Keithley family has occupied the property since 1913 and is still on hand to assist with all your needs, day or night. It’s the perfect place to get some peace and quiet after a long day on the road.